After their colonization in Vietnam, the French left behind their love for bread, butter, pastries, etc. 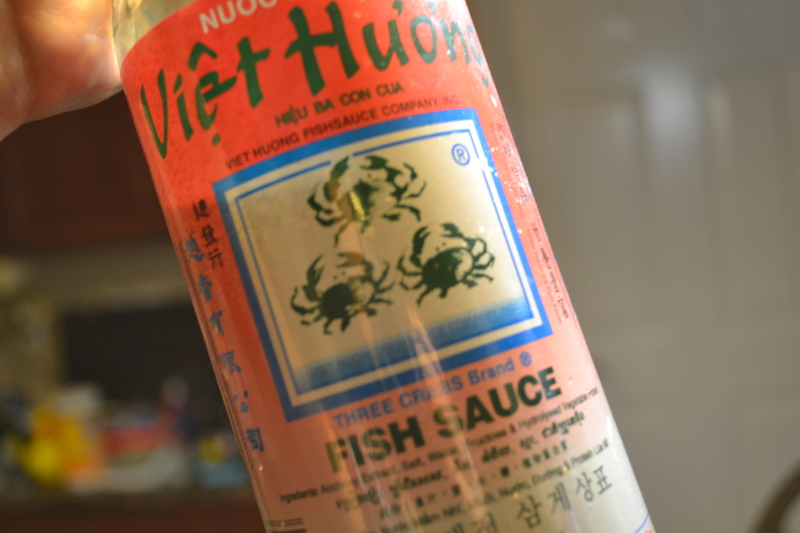 Overtime, Vietnamese cooks use their own adaptations of regional ingredients and create a fusion of French Vietnamese dishes that we all know and love today. Popular above all is the famous french baguette sandwich, the banh mi. From food trucks to Michelin star restaurants, banh mi is winning over America like mason jars have won their place at the dining room table. However, looking past the banh mi stand in most Vietnamese bakeries, you will find banh mi‘s less glamorous cousin, the pâté chaud. 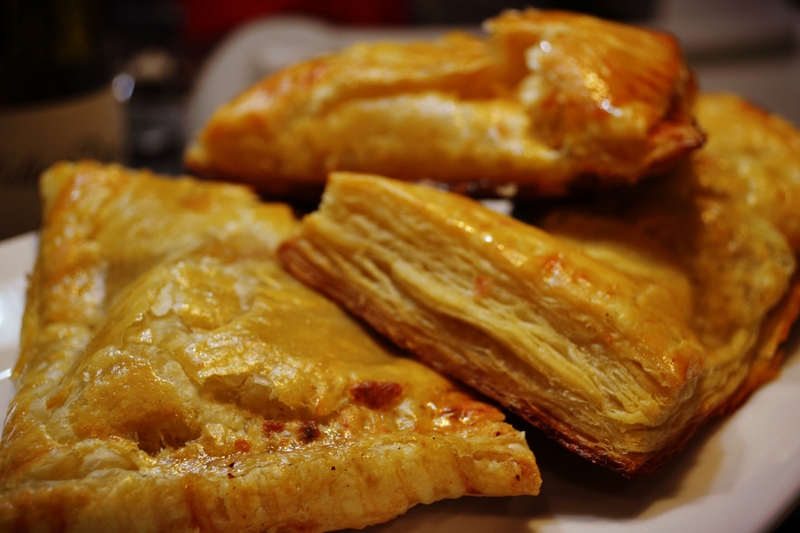 In French, pâté chaud literally means “hot pastry pie.” These savory puff pastries are so easy to make, and oh so delicious! 1. 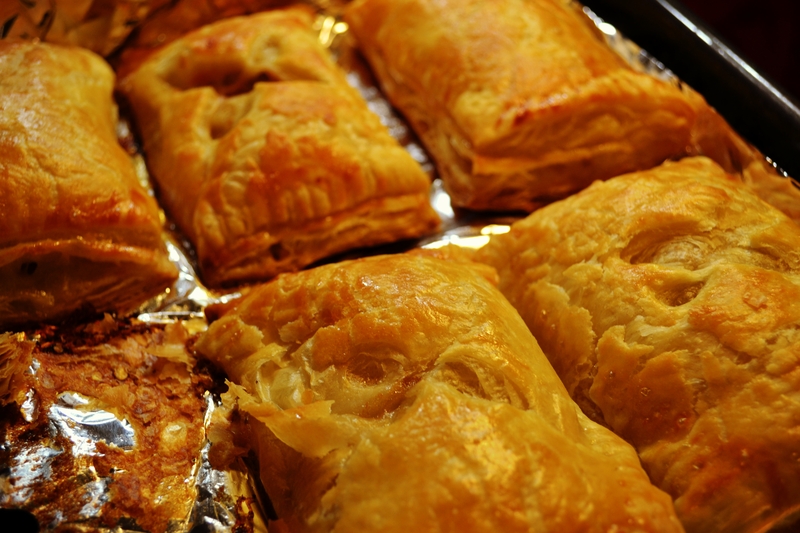 Place your puff pastry sheets in the fridge one day before cooking to thaw. You don’t want it to be frozen, but you also need to avoid it being too soft. You can thaw it at room temperature if you’d like, but I find it best to let it cool slowly in the fridge. 2. 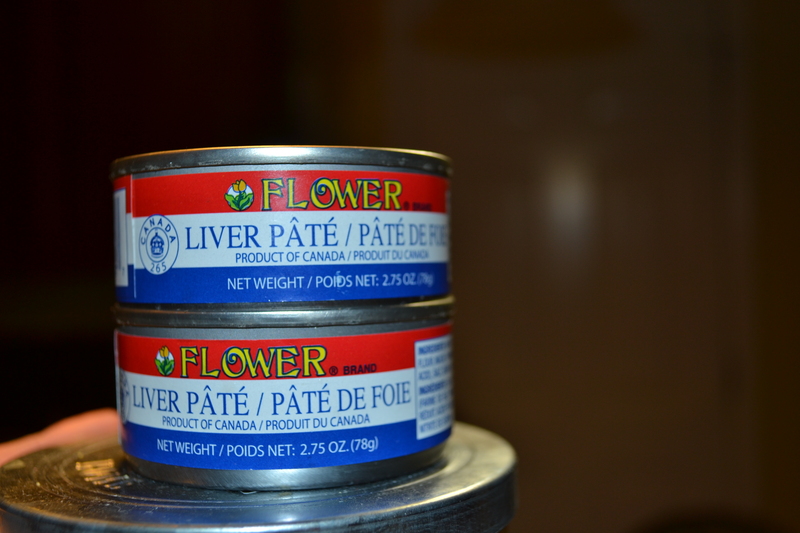 Use a mixing bowl, mix your ground pork, pâté, one egg, and the remaining ingredients well. I usually like to microwave a small portion of the meat mixture to test and adjust the seasoning if needed. Let meat marinate for at least 30 minutes. 3. Beat the remaining egg well and set aside. 4. 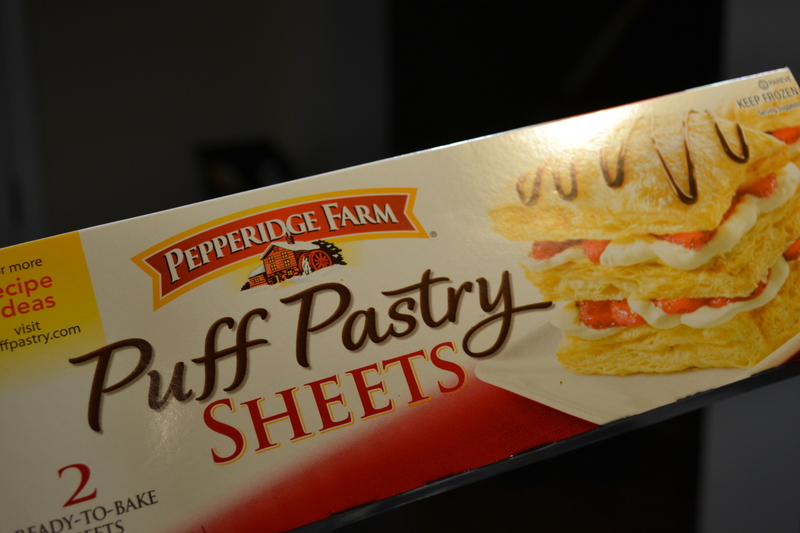 Each of your pastries should come with 2 sheets of puff pastry. Separate each sheet and cut into 6 even pieces per sheet. Divide your cut-outs into two groups, one will carry the meat and the other will be your pastry tops. 5. Scoop about 2 to 3 tablespoons of meat mixture onto one group of the small pastry cut outs. 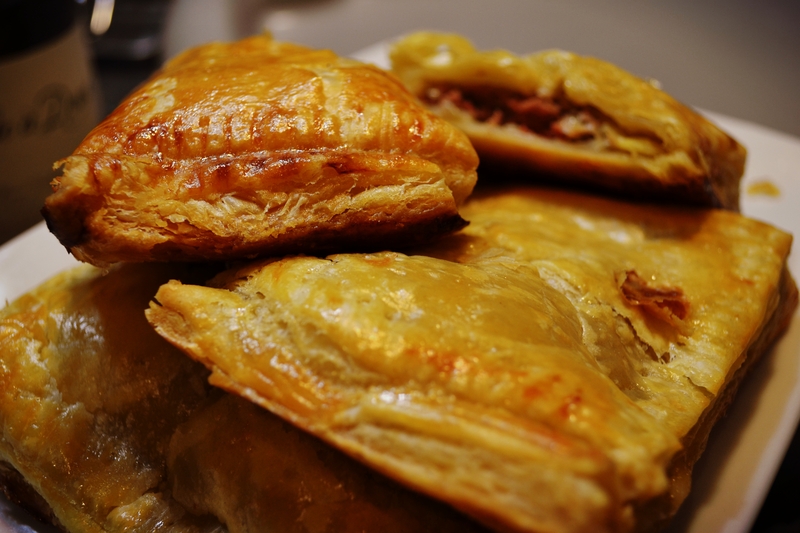 Make sure to carefully arrange the meat mixture so it stays inside the pastry. 6. Use your fingers and rim the edges of the pastry cut-outs with your egg wash, enough to create a glue that will bind the top layer of the puffs. 7. Place empty pastry cut-outs from the second group on top of the pastry/meat layers. 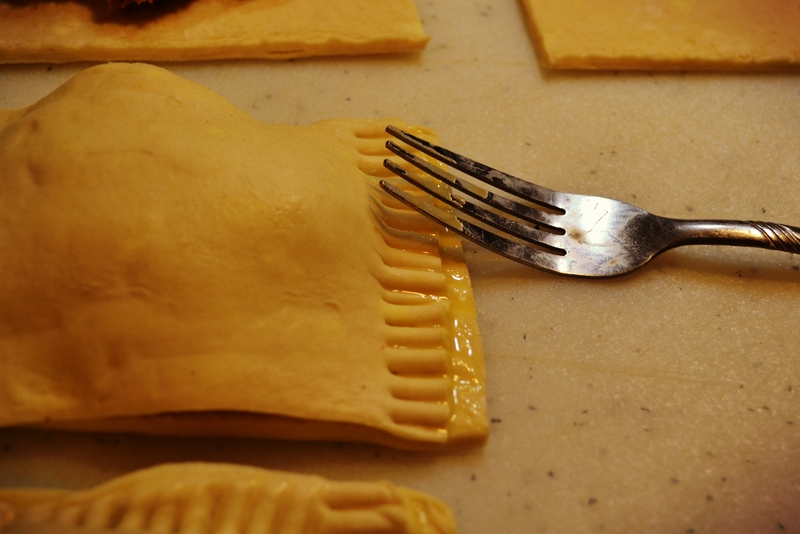 Use a fork and press gently on the edges to seal your pastry pocket. 8. Continue until there is no pastry sheet left. 9. Use a cooking brush and brush a layer of egg wash on top of each pastry. This will make your pastries nice and golden once they are in the oven. 10. Make a tiny slit on top of the pastries to help the steam escape once you start baking. 11. Pre-heat your oven to 350°F, then bake your pastries for 30-35 minutes, until the crust is fluffy and golden brown. Excellent job! The end results look so professional (and delicious)!